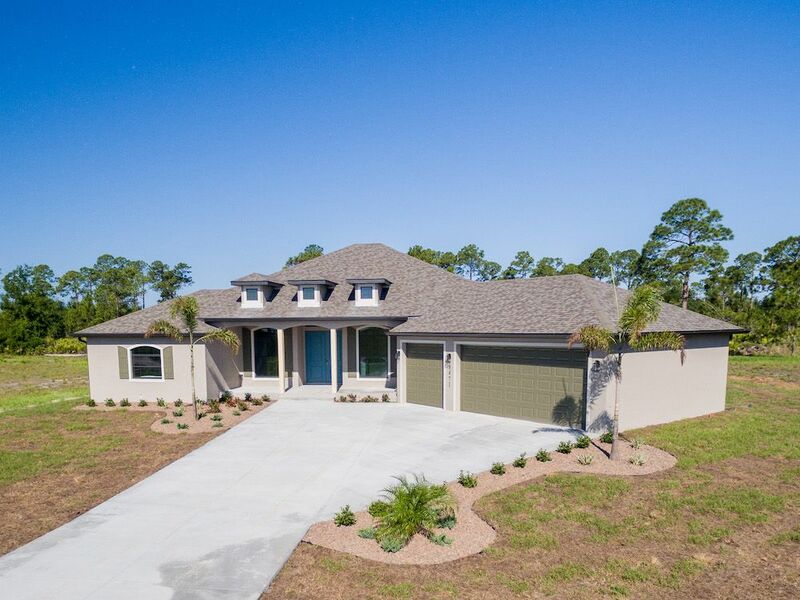 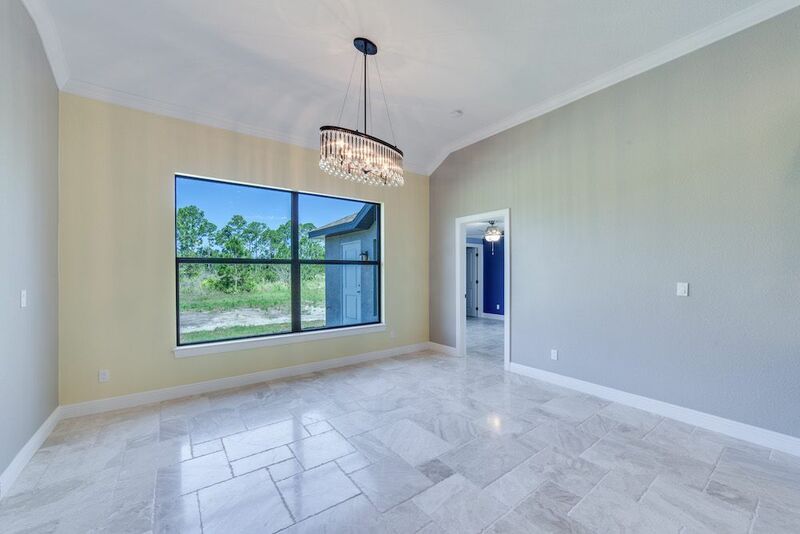 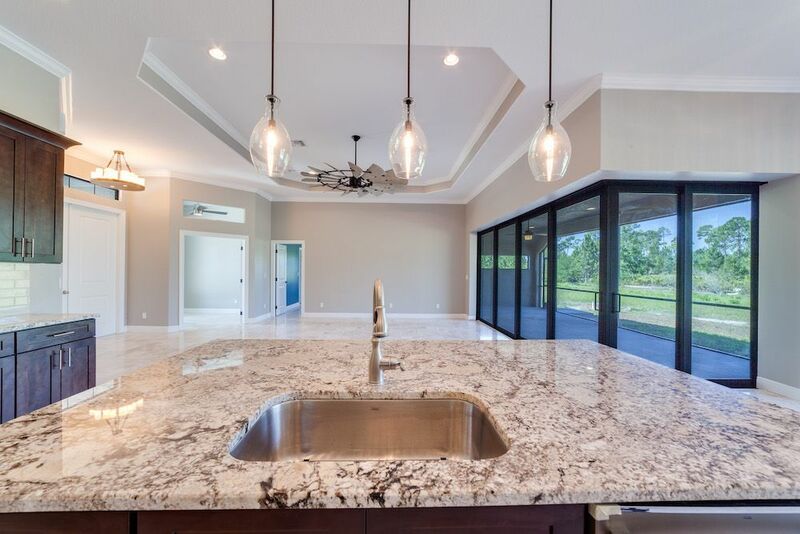 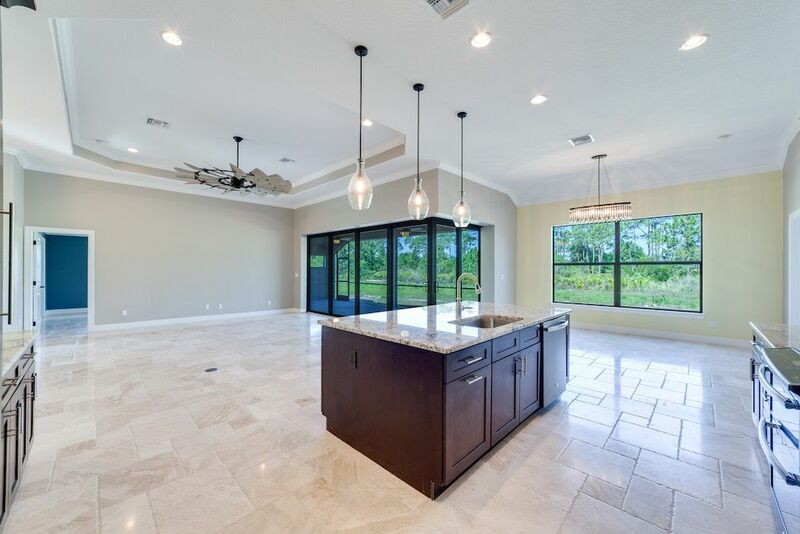 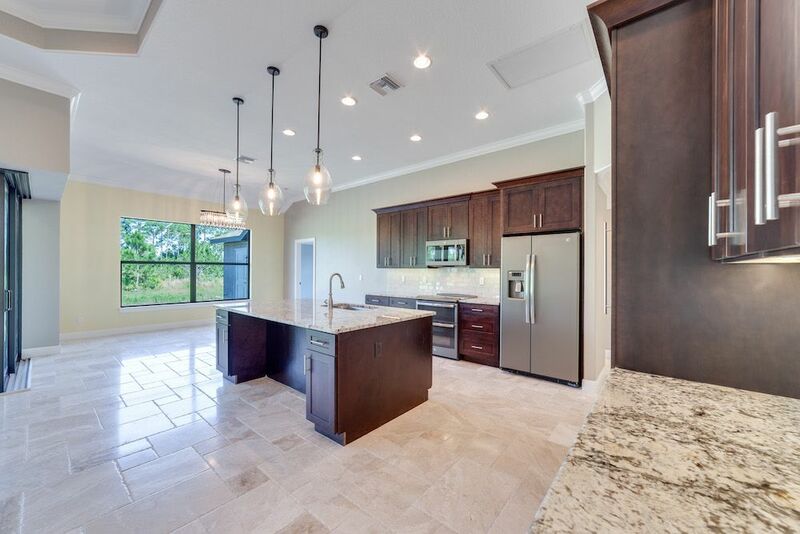 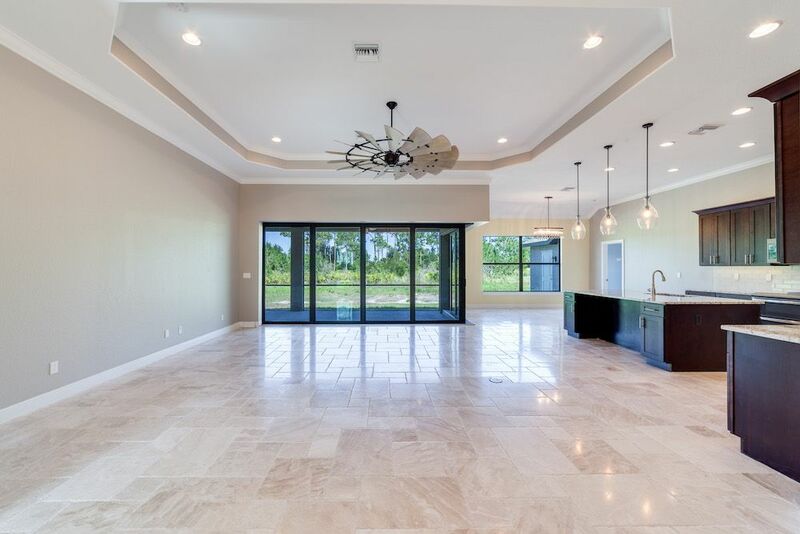 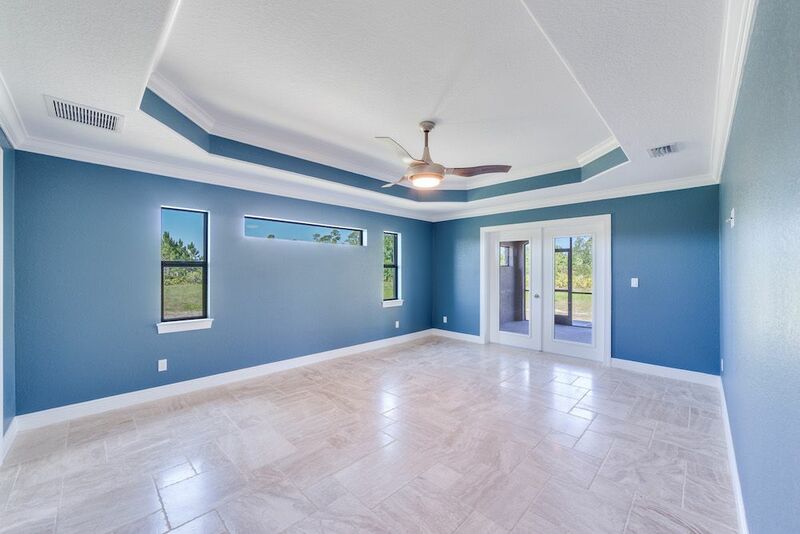 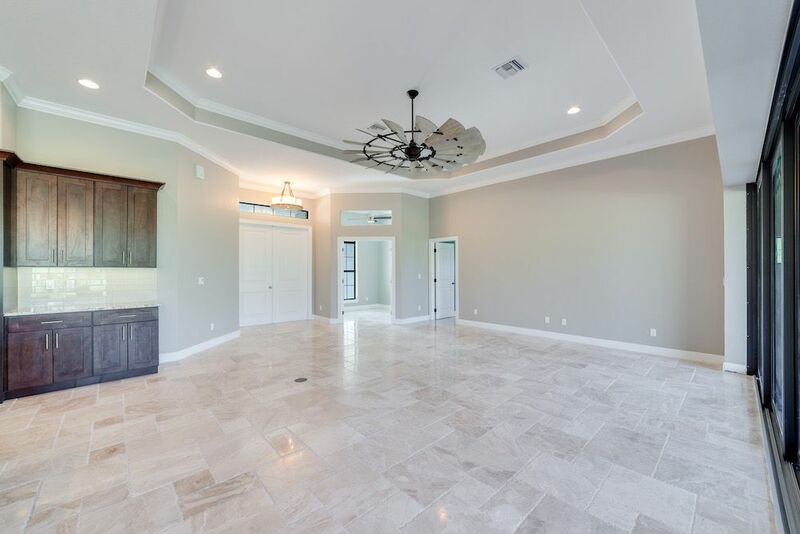 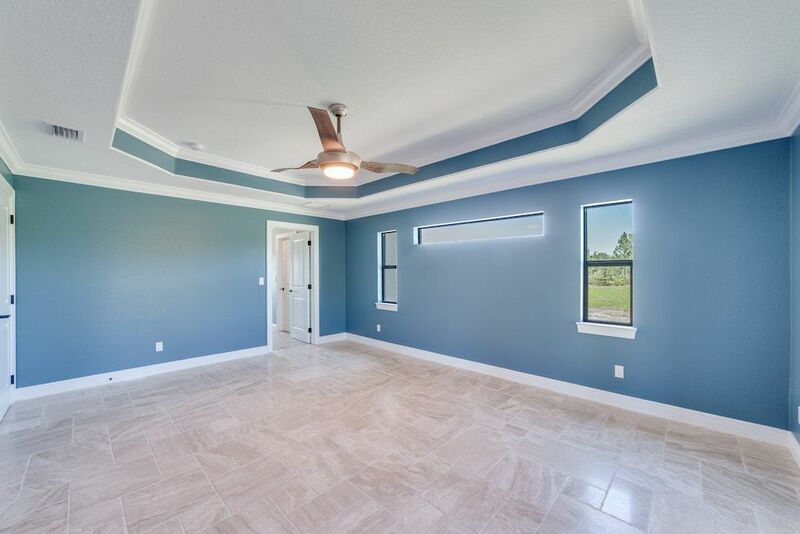 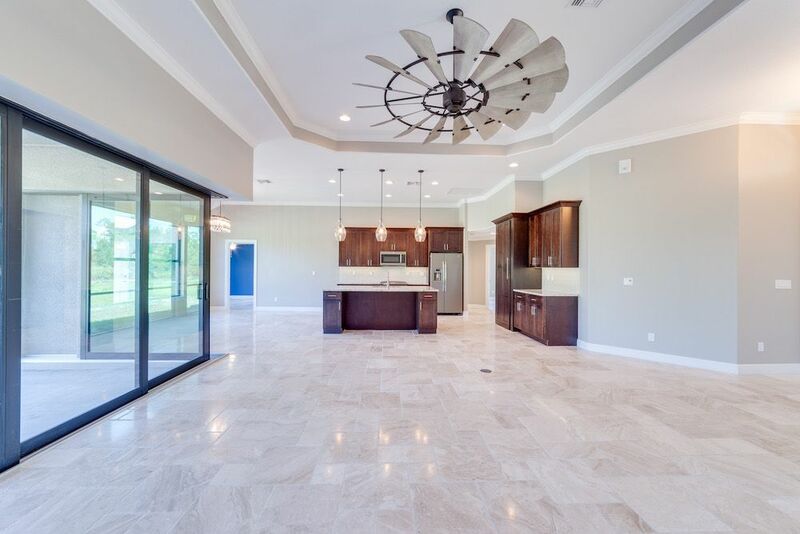 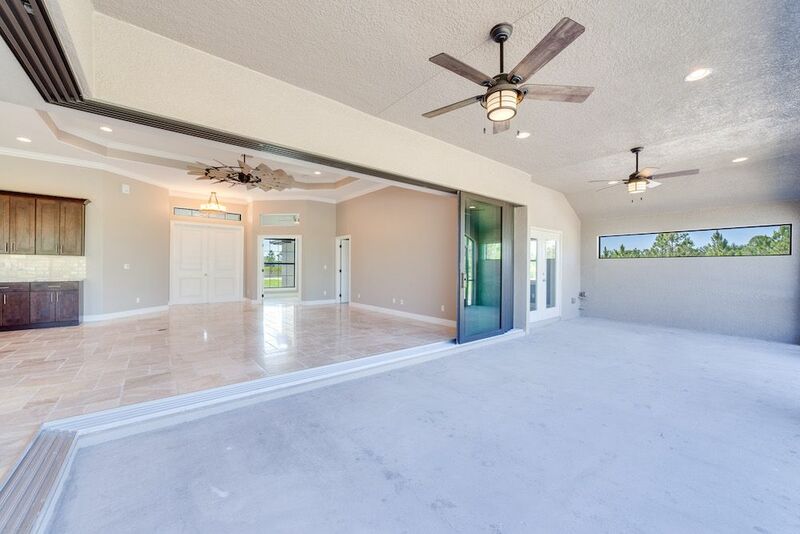 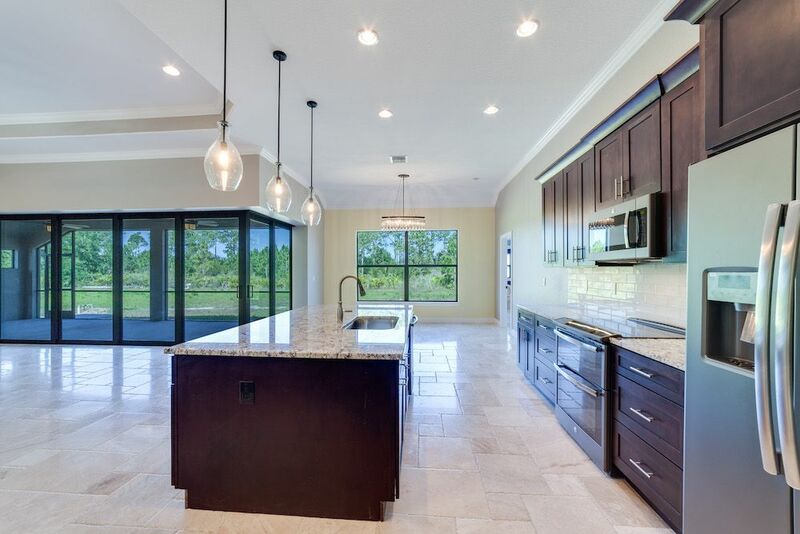 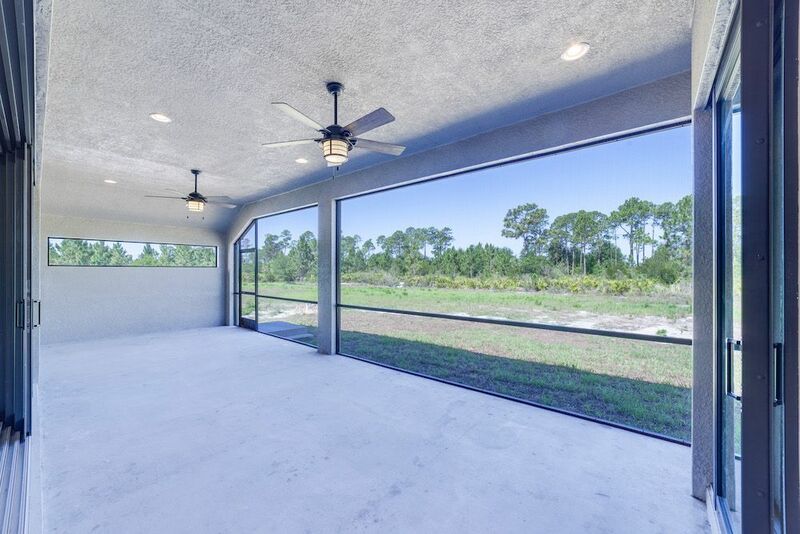 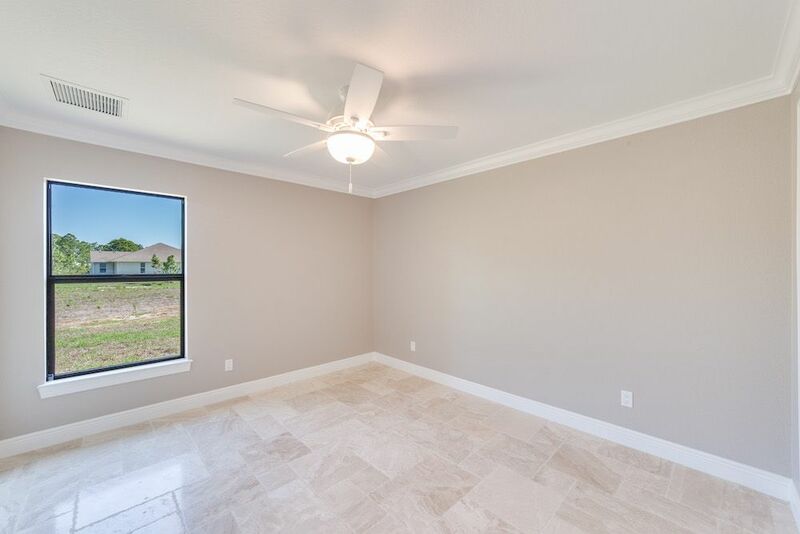 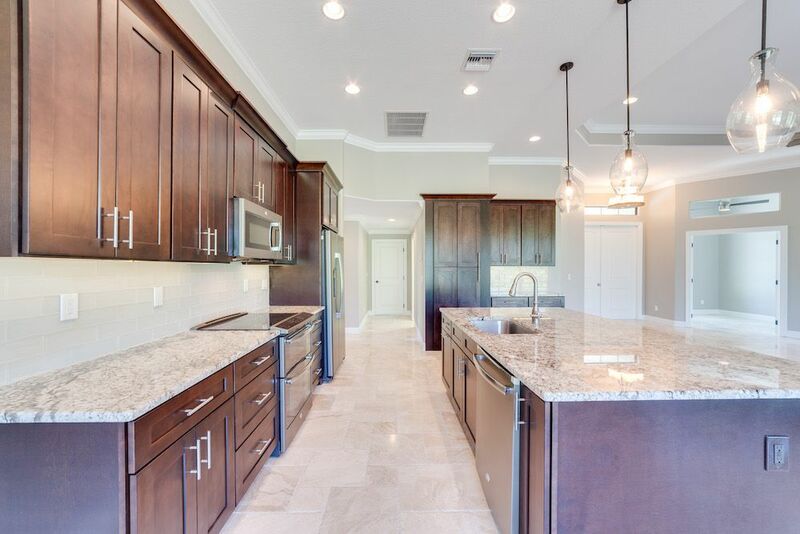 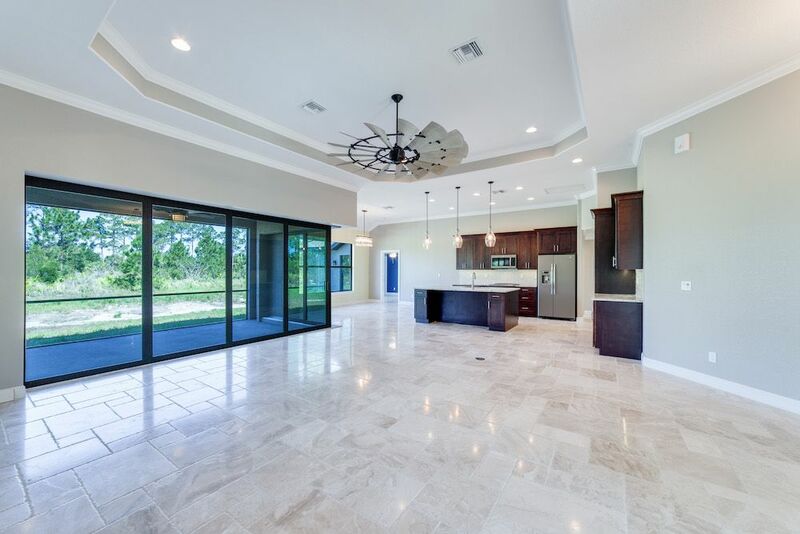 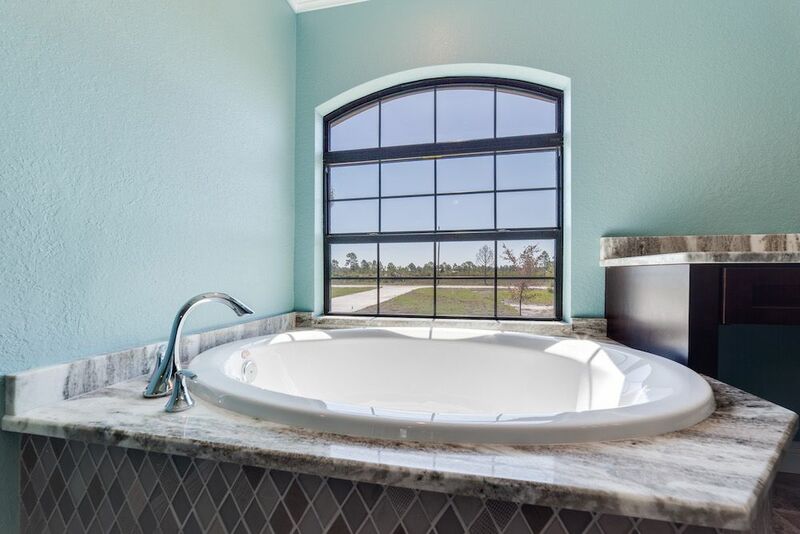 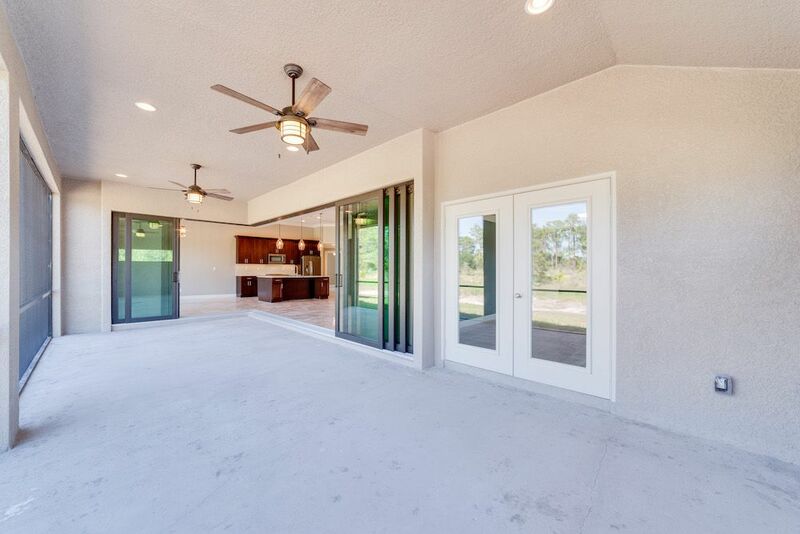 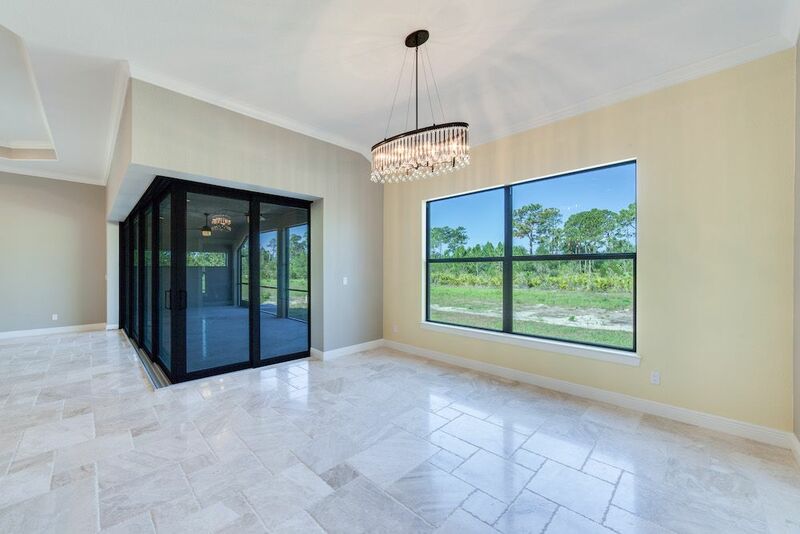 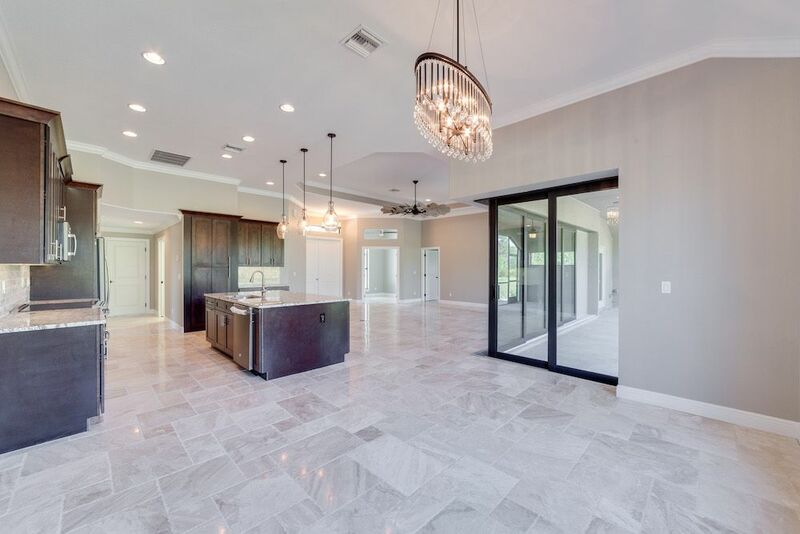 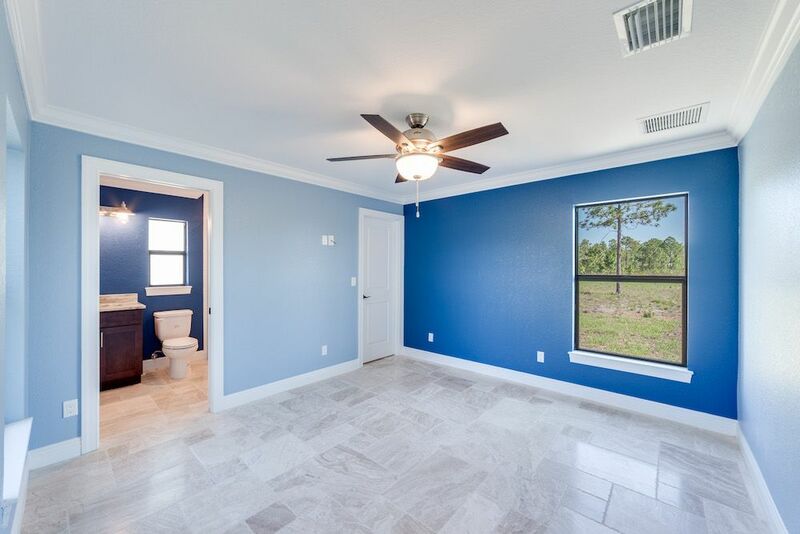 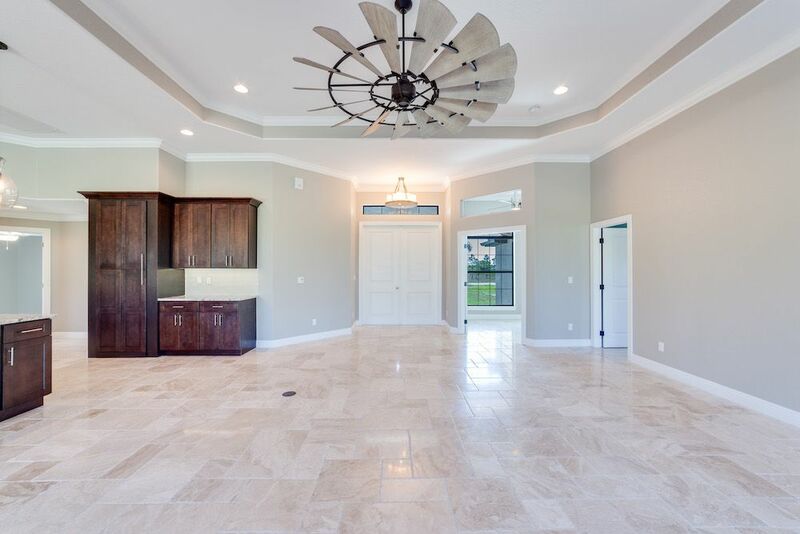 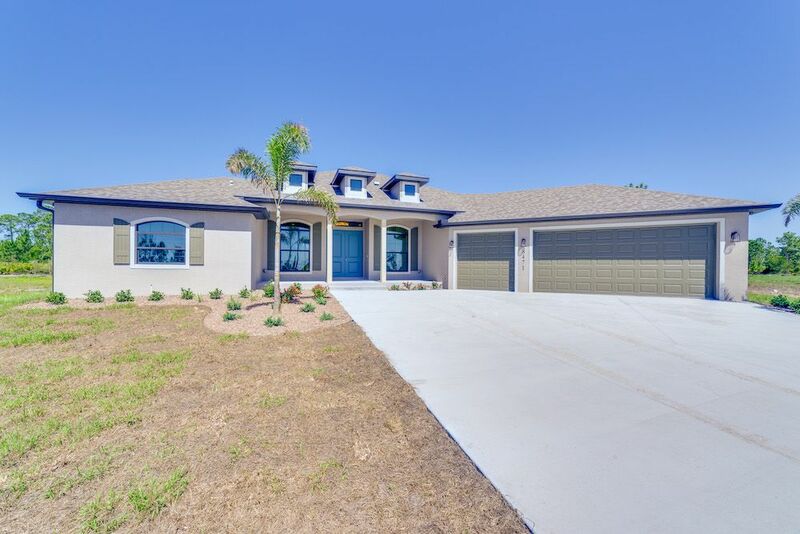 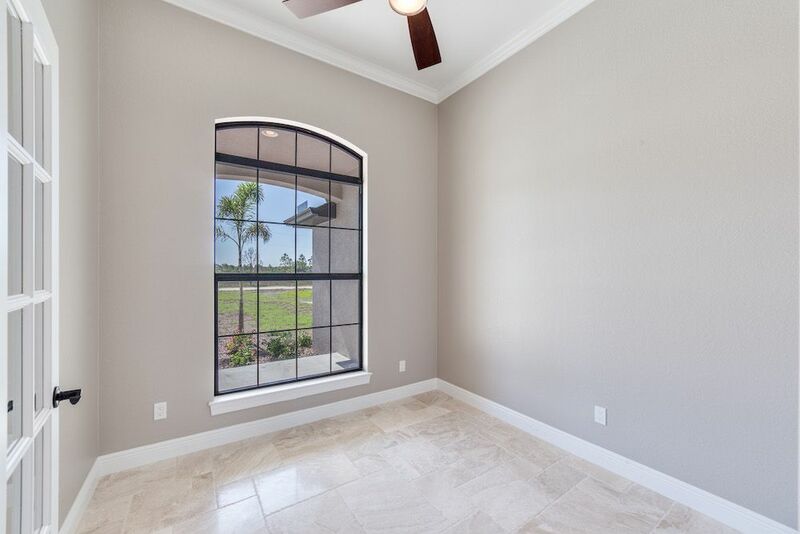 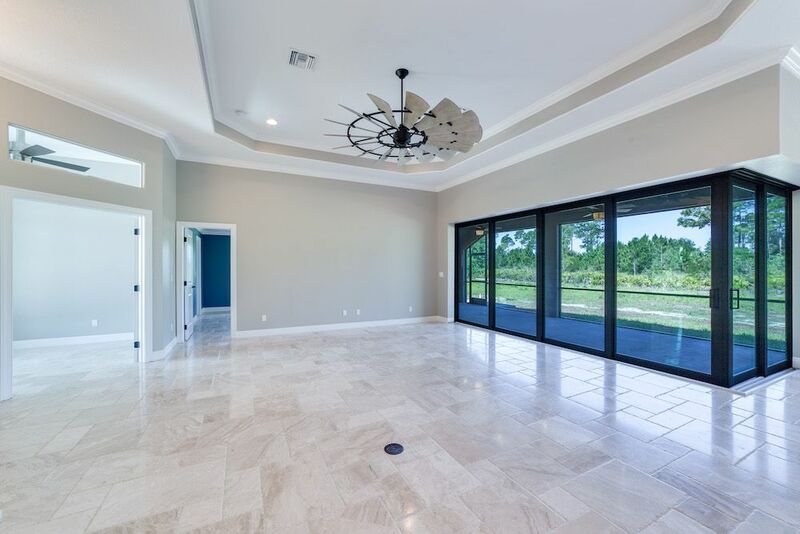 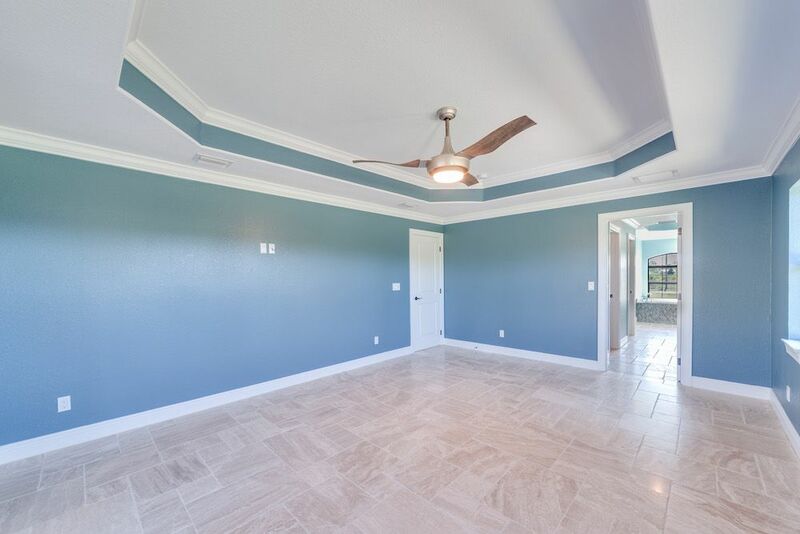 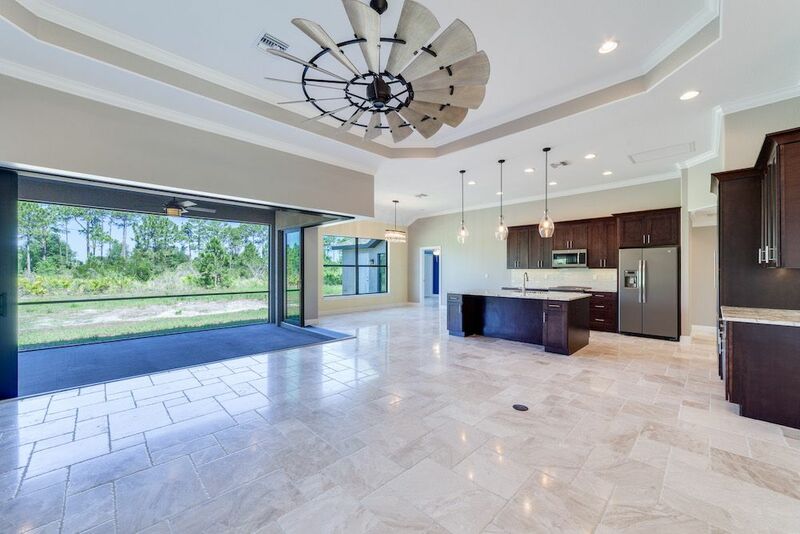 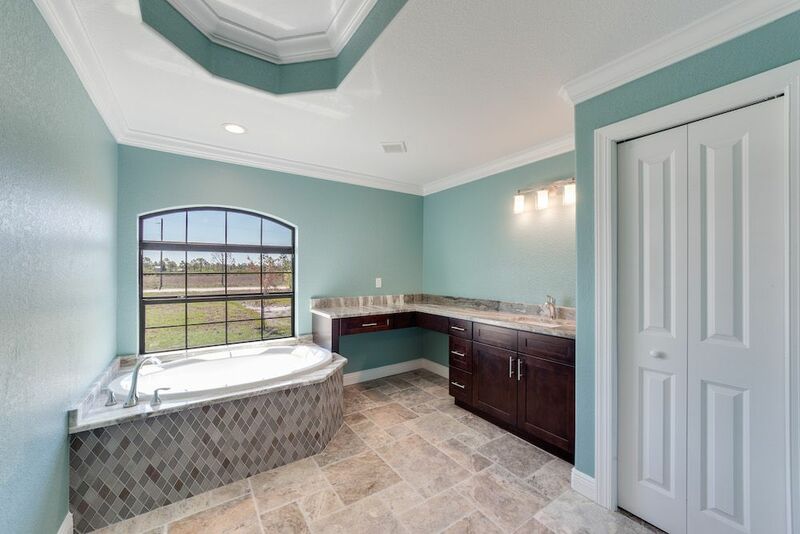 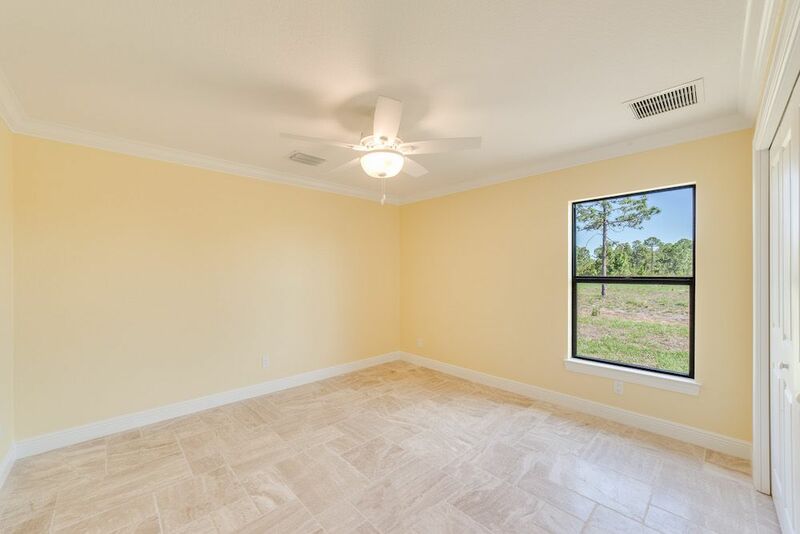 This spacious, Old Florida Style home has an estate series 3-car garage, spacious open floor plan featuring dark kitchen cabinets and sliding glass doors that lead from the living space to the lanai. 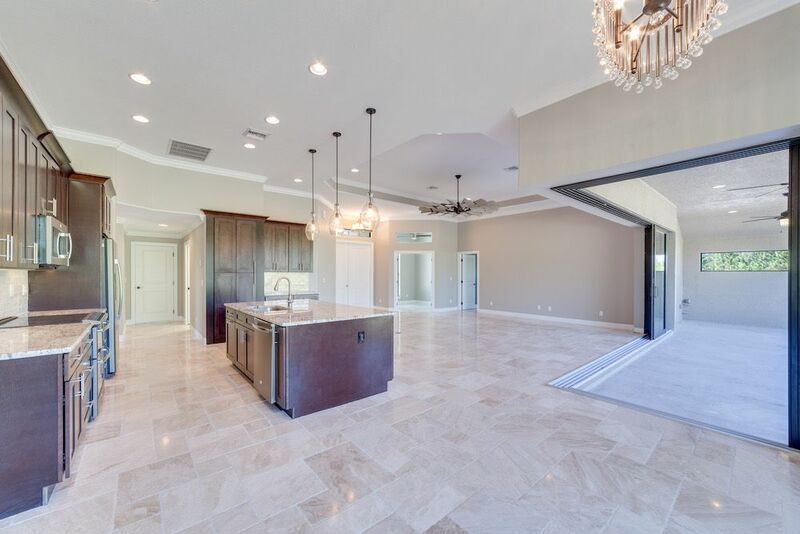 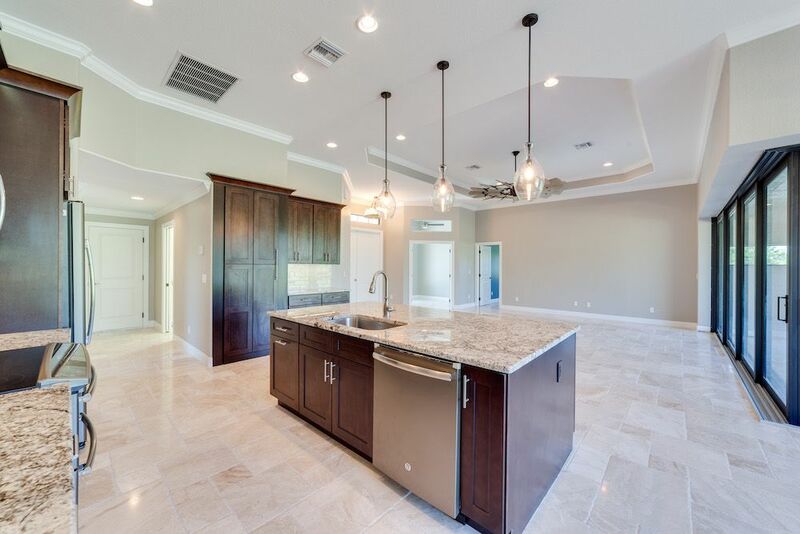 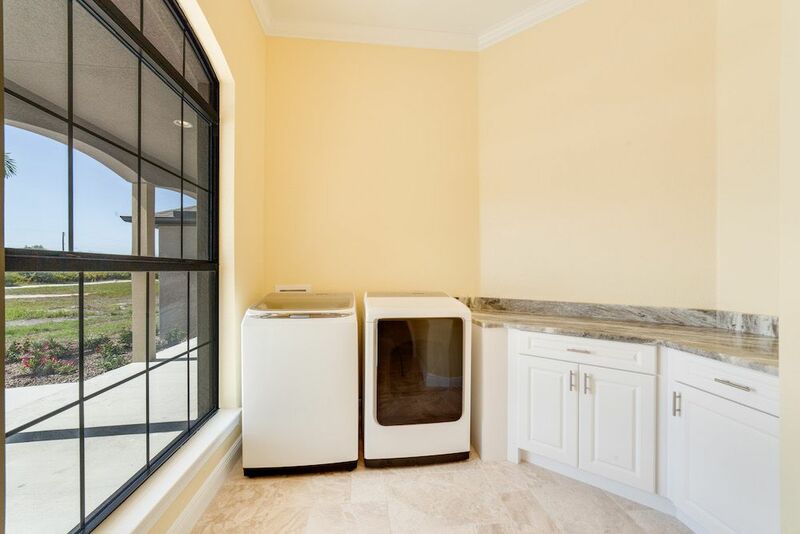 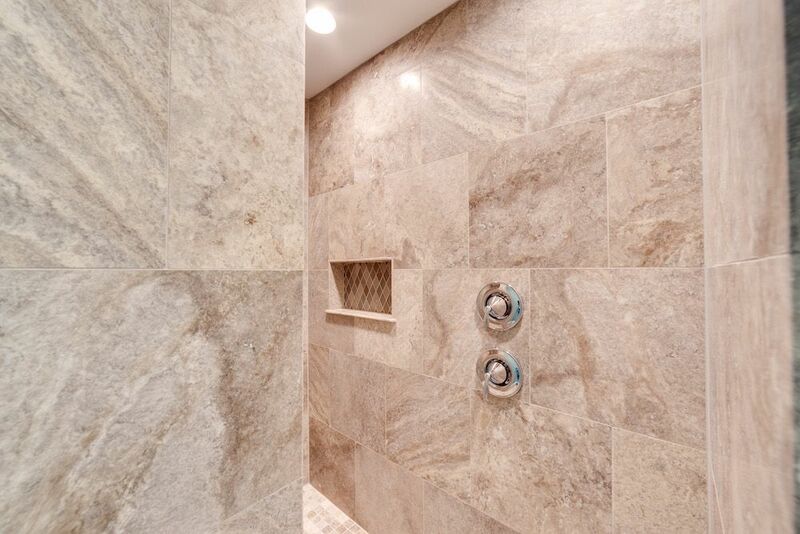 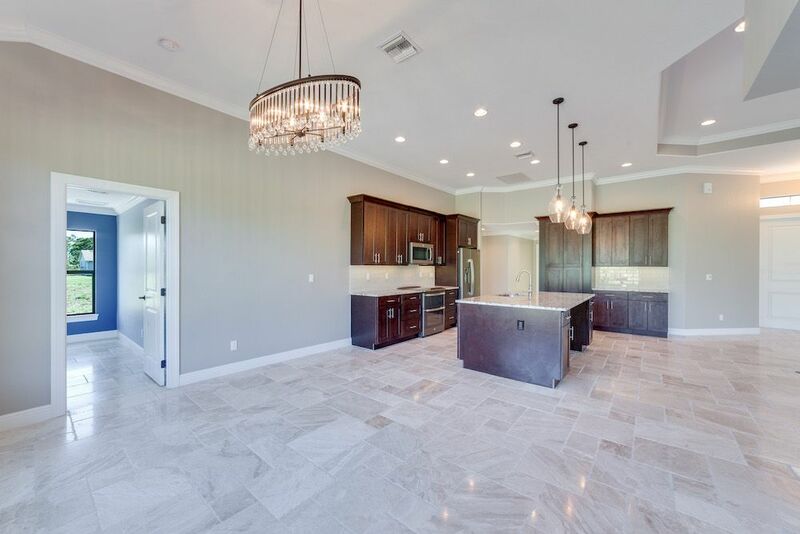 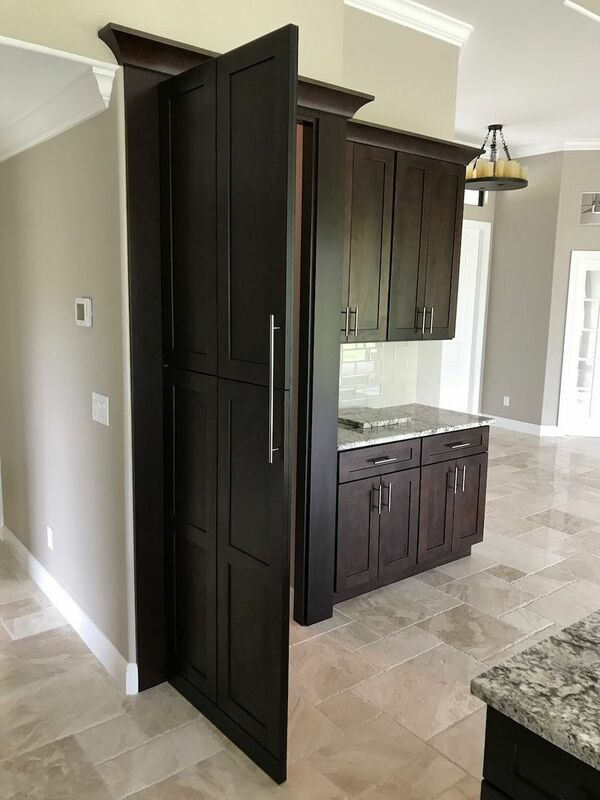 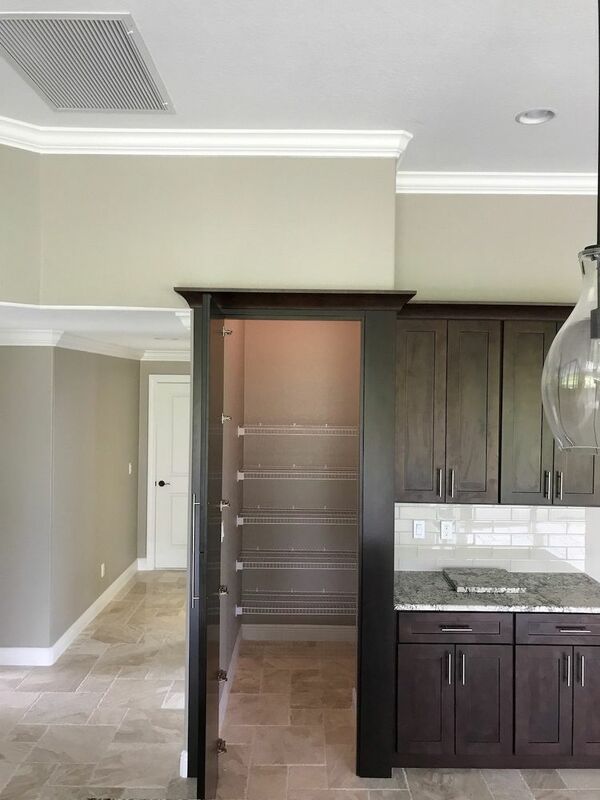 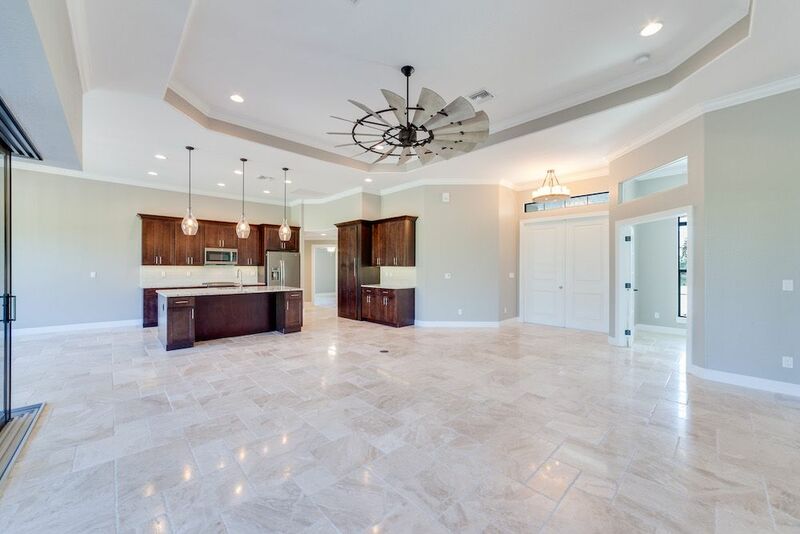 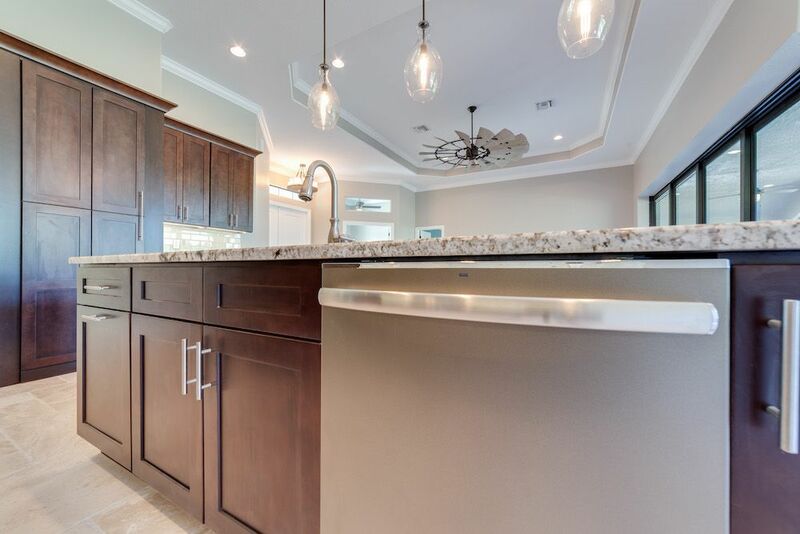 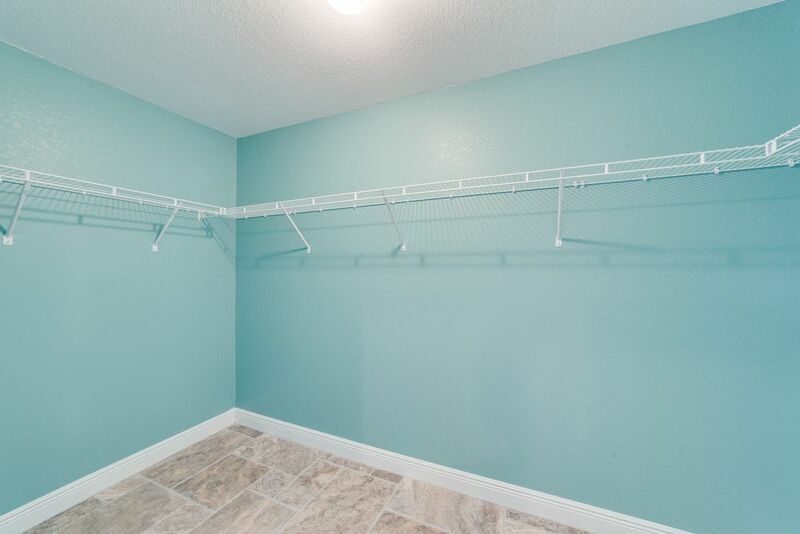 This is a Michaela floor plan with a custom hidden pantry and chiseled edge travertine floors. 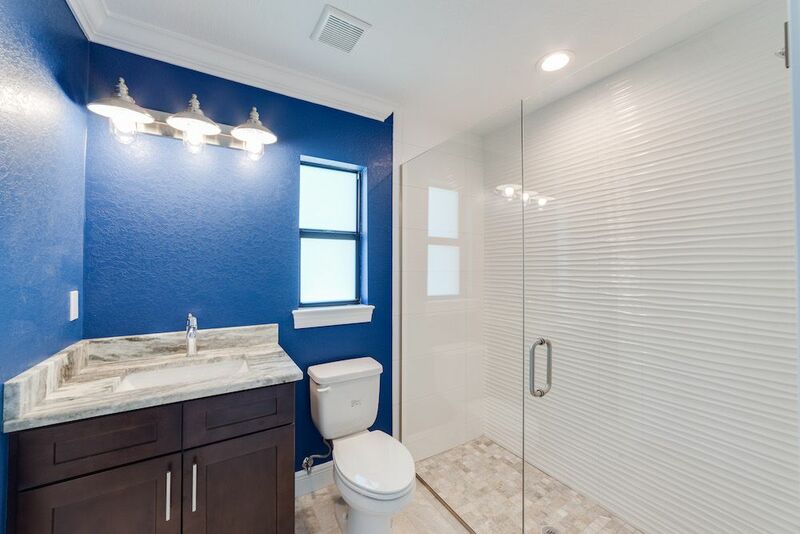 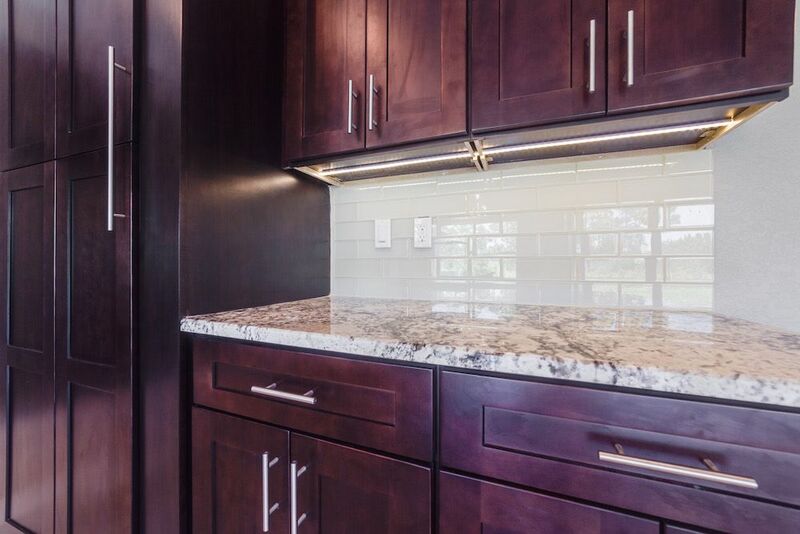 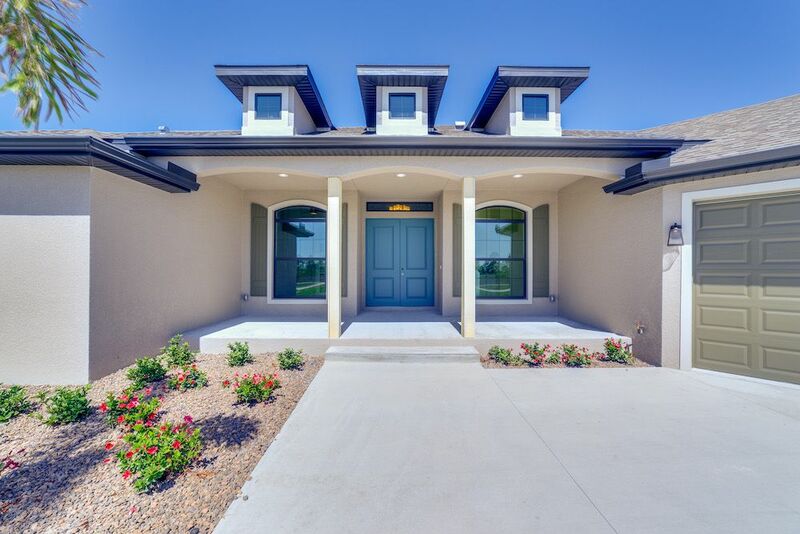 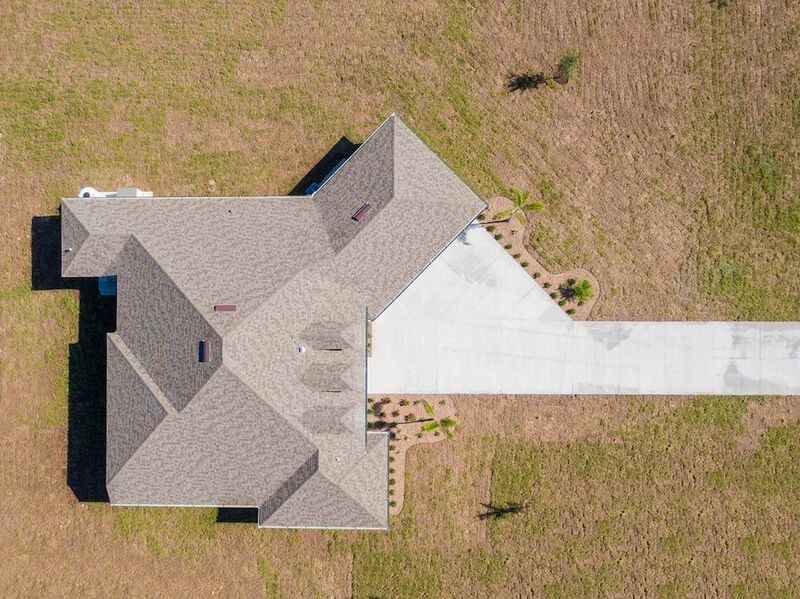 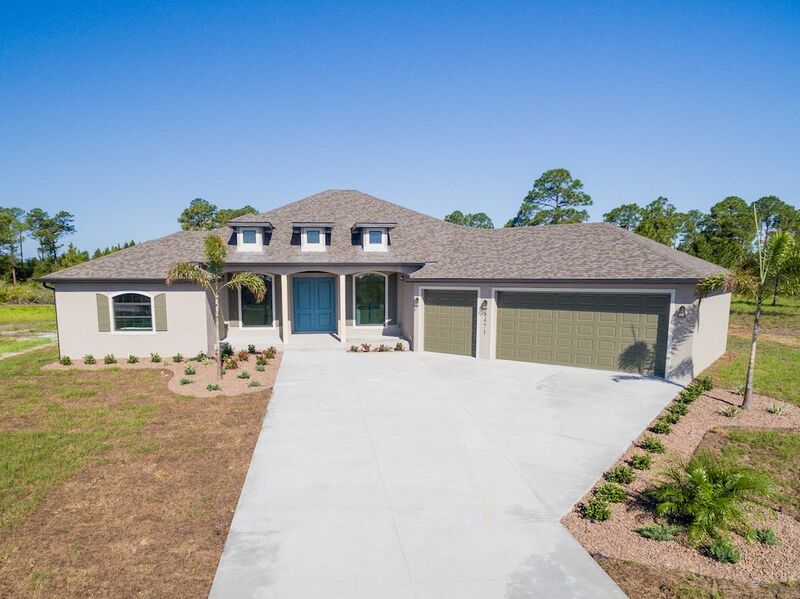 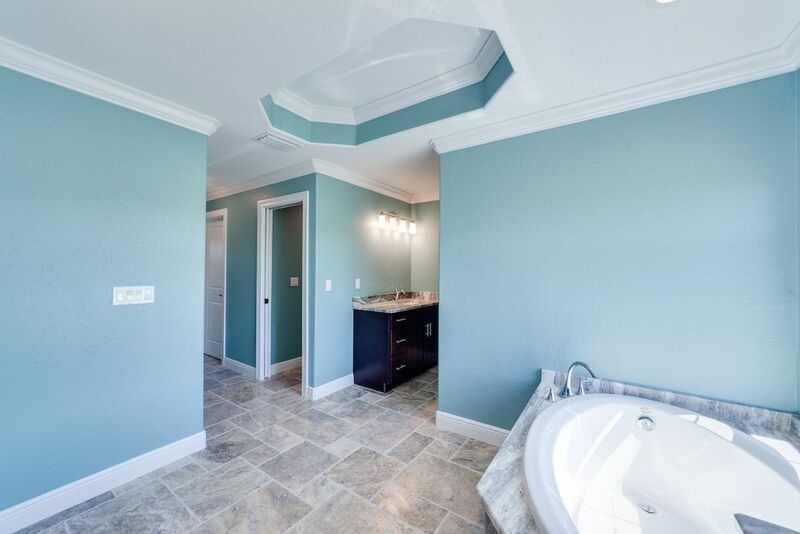 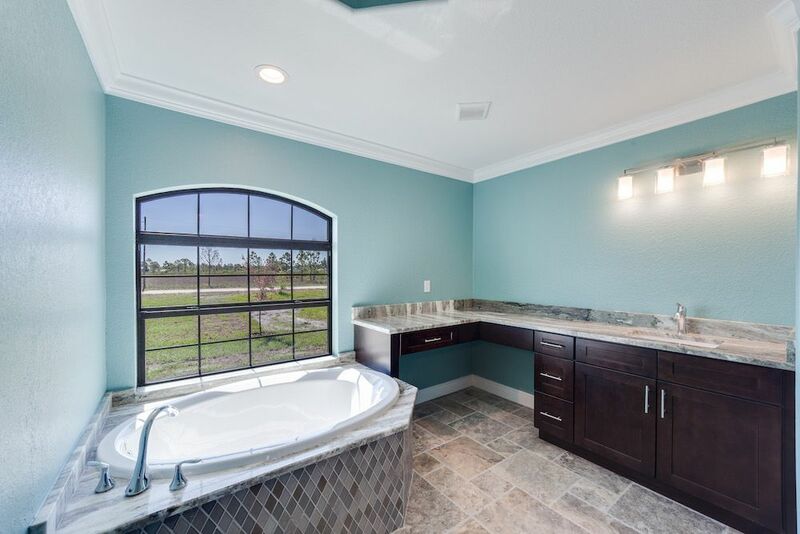 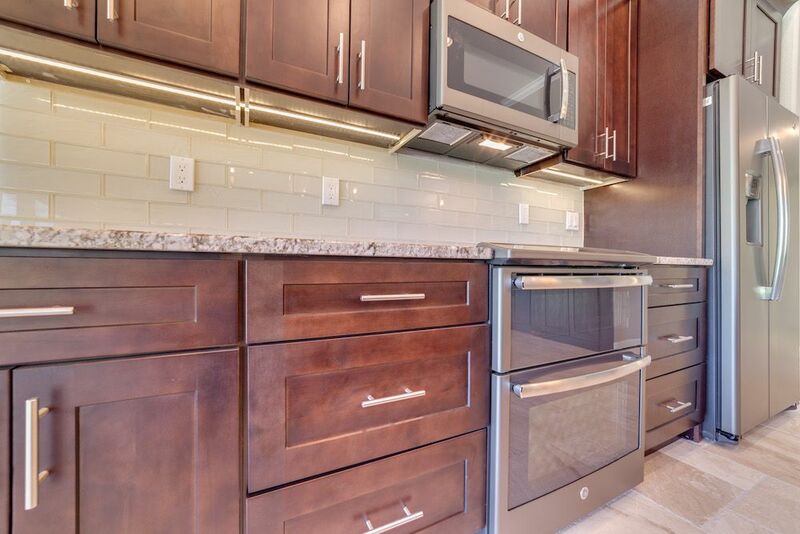 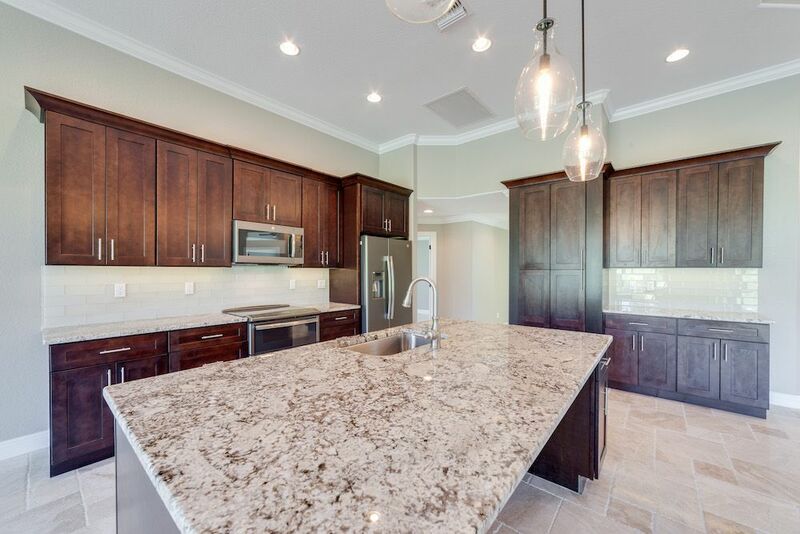 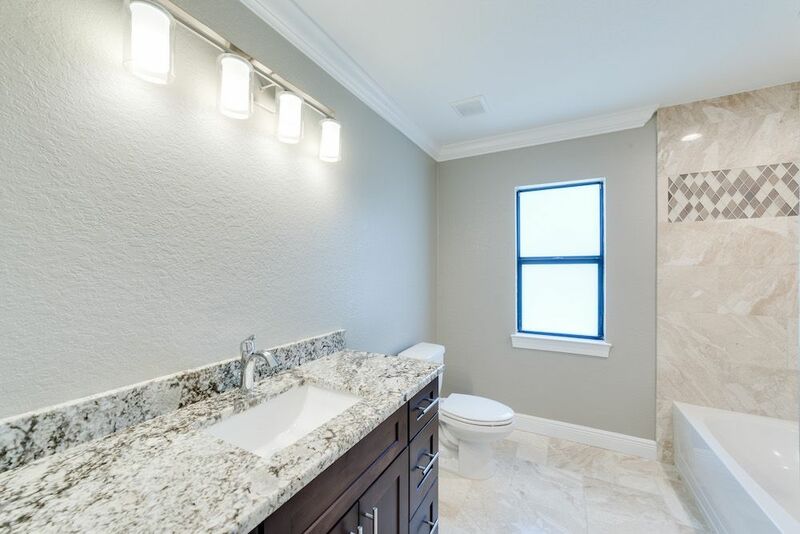 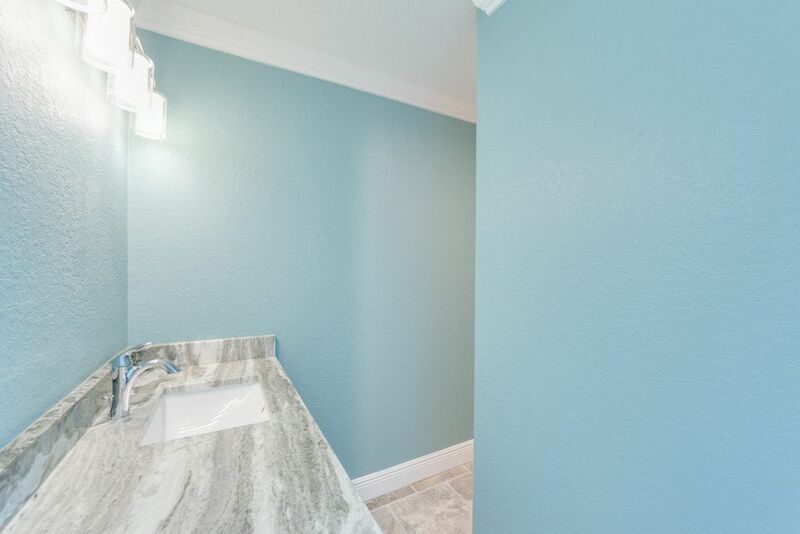 Notable features: Limited lifetime shingle roof, impact glass windows, porcelain plank tile flooring, custom designed cabinetry, hand selected granite tops, built on acreage, custom 3 car garage design, and a front porch with dormer windows.